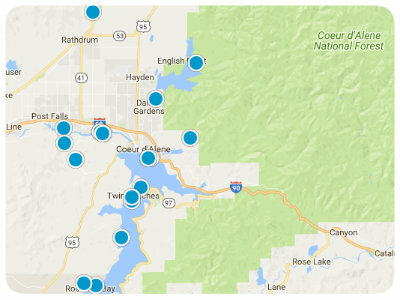 Welcome to Home Search North Idaho, here you will be able to search all currently listed homes on the MLS system within all of North Idaho and now, Spokane Vicinity too! Search the same way as a Real Estate Agent! Search for specific property types, i.e. waterfront, vacant land, sfr, condo etc. See how much your home is worth with Free Market Reports! 20 Newest Listings on the MLS, click Advanced Search to view all listings.